Finding the right Real Estate agent to help you buy a home in this market is crucial. Realtor Michael Marchena is a local real estate agent located in Temecula California, and services all of the following areas including but not limited to Temecula, Murrieta, Menifee, Lake Elsinore, Wildomar, and Winchester California and all surrounding areas. Things you will need to accomplish to buy a house. Step one get approved by a lender click here for my list of preferred lenders or fill out this form and I will put you in touch with a great lender. 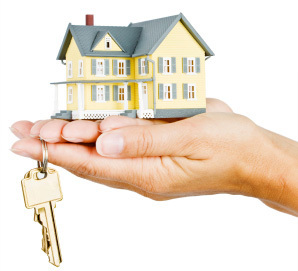 A good lender will help you to determine how much you can afford monthly and help you determine your purchase price. Step two get all of your ducks in a row your lender and I will let you know what documents we need, so we can be sure to submit a solid offer when we find the home you would like to purchase. You will need to get me all of the requested document before we start previewing homes, so that I can be ready to submit an offer the same day we see the property you would like to make an offer on. Watch these informative first time home buyer video to help guide you on the path to home ownership. Thinking about Buying a Home? Right now is a great time to buy a home with interest rates at an all time low and home prices are more affordable than they have been in years. Buying a home is one of the biggest transaction a person will make in his / her life and finding the right Real Estate Agent can make all the difference between making this a good or bad experience. One suggestion would be to find a local agent, so that searching for homes is easy for you and the agent to meet up you should try to find an agent that works / live within 20-30 minutes of the area you are thinking about purchasing your home. I am a local Real Estate agent in Temecula and Murrieta California, and service all of the following areas Temecula, Murrieta, Menifee, Lake Elsinore, Wildomar, and Winchester California. Work with a Local Temecula Real Estate Agent, Local Murrieta Real Estate Agent, Local Menifee Real Estate Agent, Local Lake Elsinore Real Estate Agent, Local Wildomar Real Estate Agent, Local Winchester Real Estate Agent who is committed to making sure your experience will be the best possible experience you can have when making this life changing transaction. My name is Michael Marchena and I am committed to helping you find a house that you and your family can proudly call home. Please feel free to call me or fill out the online contact form so we may set up a free consultation, so I can gather all of the necessary information to get you on the road to home ownership. Thank you in advance for considering me as your Real Estate Agent, and I look forward to meeting with you. Why Choose Realtor Michael Marchena as your Real Estate Agent? Well the answer to this question is simple I will perform to the best of my abilities to make sure that you get the very best service wether I am representing you as a buyer or a seller I will do my Due diligence to make sure that you are informed with the process with constant communication and complete transparency from beginning to end. When someone offers a superior level of service, the word spreads fast, and Michael Marchena wants to spread like wild fires. Also keep in mind that Michael Marchena has built a team with a combined experience of over 50 years in Real Estate, so you can rest assured that your home buying experience will be handled by the best. Looking for a new home can be an exciting and challenging experience. Having the right real estate proffessional that takes the time to listen and understand your unique needs and lifestyle is important. Learn 8 steps to buying a new home.